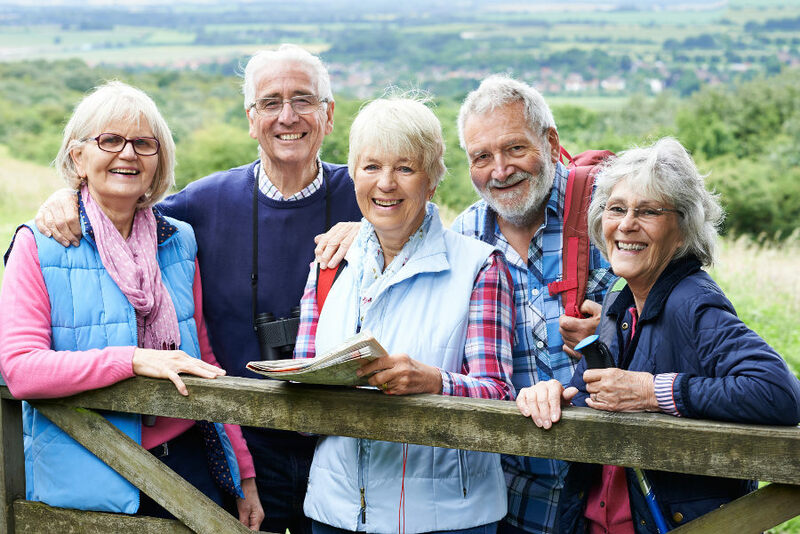 Walking can be one of the best forms of exercise for later life with many health benefits associated with it including; weight loss, keeping the heart healthy, reducing the risk of cancer, keeping bones and muscles strong, reducing the risk of type 2 diabetes and improving general well-being and mood. Getting started in walking is also easy. You won’t need any special equipment just a good pair of shoes or trainers. You can go on your own or with a like minded partner or friend for company. If you’re thinking of taking up walking here are some common sense pointers for getting started. 1. Are you fit enough for regular exercise? It’s important to get an all clear from a Doctor before beginning any exercise programme. Some later life ailments and conditions may mean walking or other forms of exercise are best avoided, but for people in good health it can be of benefit. If it’s been a while since you last exercised, start with a small walk of 10 minutes. Down the road and back is fine when you’re just starting out. Go out every day and add a minute or two to your time. Keep it sedate and don’t push yourself, concentrate on building up your fitness gradually. As you become more comfortable with your exercise duration, try increasing your effort. Take longer strides and swing your arms. Aim to finish the same distance a little quicker than your usual time. As with any physical exercise, keep it comfortable and don’t overdo it. Exercise is progressive and improvements come slowly. It can be a little difficult to decide how long you should walk. Really this will come down to what is comfortable for you and will vary from person to person. It’s more important to walk regularly for a comfortable length of time, rather than trying to set records or personal bests. You may be comfortable with twenty or thirty minutes every day, or a little less or a little more. You will need to work it out for yourself. Taking a day of rest in between the days on which you exercise may be beneficial. You may find soft ground to be easier to walk on than pavements. Hard surfaces can have a hard impact on joints, especially when you’re working at a higher level of effort. Soft ground can be easier on the joints, but you should take care to avoid ground that is too rutted or uneven, as it may be hazardous and lead to falls. If you have access to an indoor treadmill, consider using it as an alternative to the great outdoors. Although you will not need specialist equipment when exercising, take the precaution of wearing suitable clothing. Thin layers made of breathable material are obviously better for warmer weather. You might want to look at some sports clothes with “wicking” properties, which remove sweat from the body. A waterproof jacket will be good if you venture out when it rains, but do be sure to wrap up warm if the weather is cold and wet. Consider staying home during winter weather as the cold and wind can lead to you catching colds and sickness, something you really want to avoid in later life. Take along a bottle of water and a snack for refreshment. Always take a mobile phone so that you have a means of calling for help if you run into difficulty. Once you’ve finished your exercise, nothing is better than a nice soak in a hot bath. If you’re finding the bath threshold a little hard to step over or getting up and down in the bath is becoming difficult, consider a walk-in bath available from Absolute Mobility. You can even add a spa option to a walk-in bath for the ultimate post-exercise relaxation. For more information please feel free to give us a call on 01491 411 041. Of course, the above is not exhaustive and there will be other things to consider, especially for your individual circumstances. It is recommended to seek medical advice before starting any type of exercise and have a medical check up. Talk to friends or family about your plans and if you need advice consult a personal trainer.